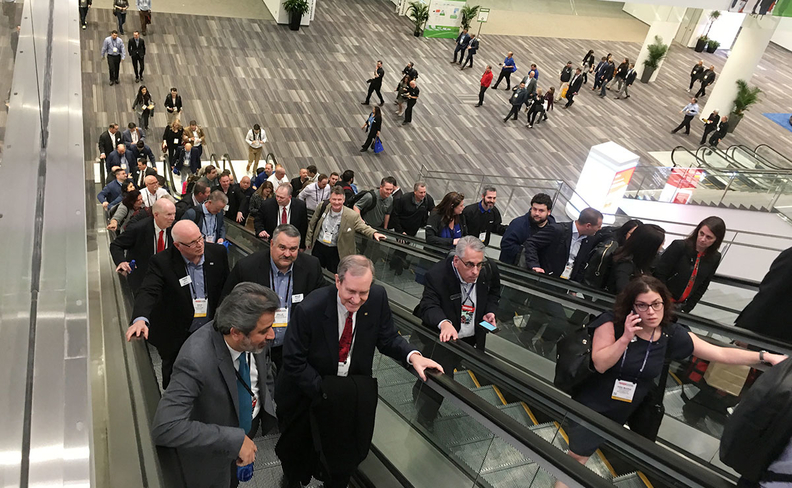 At the NADA Show in San Francisco late last month we listened to dealer after dealer talk about disruption and how they should adapt amid predictions of rising autonomous fleets and declining vehicle ownership. Should I start a subscription service? Should I invest in a mobility fleet servicing center? They also spoke to us about the challenges ahead. They were talking storm clouds. Headwinds. While the business has been good for a number of years, they were worried that the winds are changing. The last time the show came to San Francisco, the U.S. industry was streaking toward 17 million annual sales. It was 2015. And the president of the newly established RFJ Auto Partners was about to be profiled on Page 1 of Automotive News under the headline, "One of the new breed — from 0 to 24 stores in 1 year." Rick Ford's goal was to become one of the top 25 dealership groups in the U.S. He made it to No. 34 in 2017. So you'd think that after four straight 17 million years, he'd have been riding high into the Moscone Center. Instead, he's telling his team to operate like it's 2009 all over again. In his words: "It's Groundhog Day — 10 years later." Forget the SAAR. He's watching gross margins. And they're falling. Much of the industry's 2018 sales lift — and his own — came from low-margin fleet sales. There's scant profit on used cars, "abysmal" margins on new. Floorplan rates are rising. So are most of his other costs. His response: "We are focusing on the exact same things we did in 2009," said Ford, who was then a Sonic Automotive vice president. That means scrutinizing every expense, cutting new- and used-car inventories, trimming ad spending — and controlling what he can control. And he is focusing on parts and service gross margins, which grew more than 10 percent last year. With the right mix of process discipline and customer care, he sees further gains. Indeed, dealers shouldn't forget about the insurance policy that a robust parts-and-service operation can provide. Buckling down on the basics truly can be a lifesaver, especially with challenging times ahead.